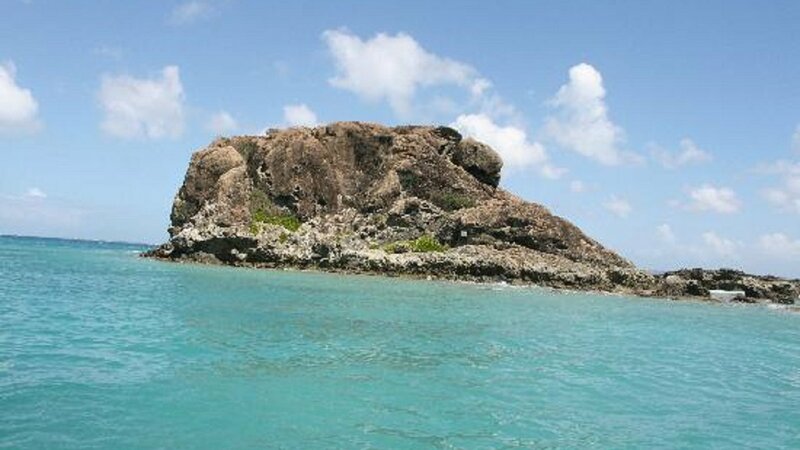 From St. Maarten, take this half day snorkeling excursion to the rock formation, Creole Rock. Here, in the calm, crystal clear waters, you'll snorkel amongst the many varieties of fish and may even catch a glimpse of the rare frogfish. Ice cold beverages are included on board, as well as a fresh French baguette for all the hungry snorkelers! Guests should bring towels, hats and sun block, and have bathing suits on. Underwater cameras are sold in our boutique. Sand Dollar is a great half day trip from St. Maarten, offering sightseeing, snorkeling and swimming. Captain Alex is one of our most complimented staff members and will be looking after your tour group for the day! The cruise takes guests through the lagoon, along our beautiful coastline and up to Creole Rock, off Grand Case. Creole Rock is a large rock formation with a reef extending out towards to the mainland, about a mile offshore. 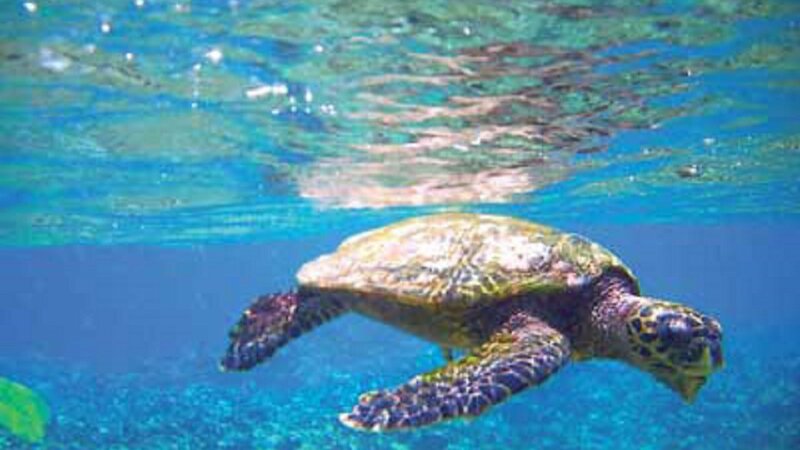 Waters are shallow and calm and provide excellent snorkeling. The boat picks up a mooring in a large sandy patch, in about 8 feet (2.4 meters) of water. 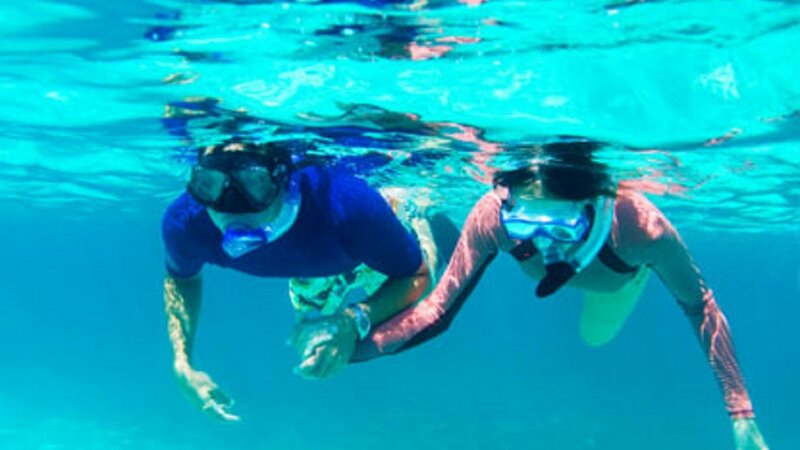 The shallow water, while being great for diving, offers great chances of seeing the rare frog fish, puffer fish, occasional barracuda and many different varieties of reef fish. Divers are welcome, however they must bring their own equipment. A large cooler keeps beers and sodas ice cold for refreshment throughout the day and bread and cheese are served to hungry snorkelers. Guests should bring towels, hats, sun block and bathing suits. Underwater cameras are on sale in our boutique for those who wish to capture the beauty of the underwater world! Non swimmers are also welcome to share in the enjoyable boat ride with great views of Anguilla from Creole Rock. Tour departs from Pelican Marina in Simpson Bay, an approximate 20-30 minute taxi ride from the cruise ship pier at 10am and 2pm respectively. Check in at least 30 minutes before departure. When paying your balance as outlined on your voucher at check in by credit card, you may be subject to a 5% credit card fee. Some trips like ferries run regardless of weather, please contact us if you have concerns.